The top management of the German consortium Siemens AG, along with the German government have assured Ukraine they plan to prevent the launch of four Siemens turbines unlawfully delivered to the occupied Crimea by legal and political means, the Foreign Minister Pavlo Klimkin has said, Interfax-Ukraine reports. “We have petitioned to the German government numerous times, as well as to the European Union, and directly to the Siemens corporation. I had a meeting with the company’s management and we agreed to coordinate our efforts in order to achieve this by filing relevant litigations. Siemens continues these lawsuits in order to prevent the launch of turbines that were shipped to the territory of the occupied peninsula by fraud,” the Ukrainian Foreign Minister said during an hour of questions to the country’s government in the Parliament on Friday, answering the question asked by Refat Chubarov. 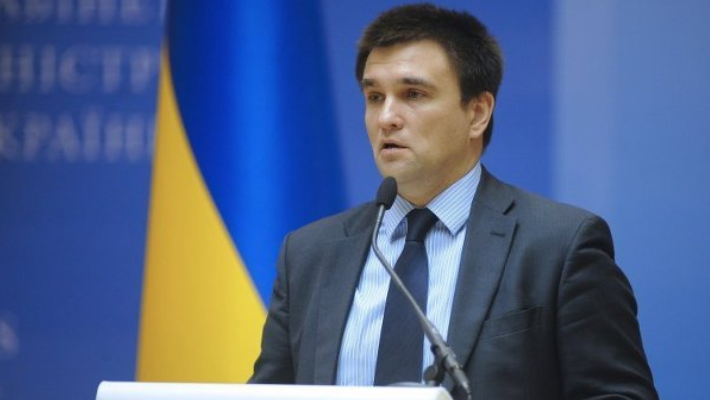 “The Siemens management, as well, as leaders of the German government, have told me they would continue to act by both political and legal means in order to prevent the turbines from being put into operation,” Pavlo Klimkin said. The German corporation requested that the agreement from 16 October 2015 on the supply of turbines to LLC VO Technopromexport to be used in Crimea be deemed invalid and to apply the consequences of invalidating the deal. Siemens is accusing Technopromexport of unlawfully transferring four turbines to Crimea. The turbines were supplied for the construction of power plants in the Taman region. Following the sanctions, the corporation banned the use of its turbines for electricity production on the peninsula. The European Union introduced sanctions against three Russian corporations and three individuals over the shipment of the turbines to the occupied territory of Crimea.